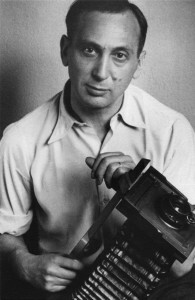 André Kertész (1894–1985) was an undisputed master of photography, widely seen as the father of photojournalism and street photography. Robert Gurbo worked with Kertész over the last seven years of his life and has spent the last 39 years combing through the archive. In a talk that offers an intimate and personal look, Gurbo interweaves the artist’s work and self-portraits into the timeline of Kertész’s complicated life story.